Volkswagen's are comfortable, inspiring, and efficient vehicles. Here at Tom's Bulldog European Repair, we want to do these cars justice by providing the best Volkswagen Repair and maintenance services in the area. As an Audi owner, you understand that a quality vehicle demands quality service. 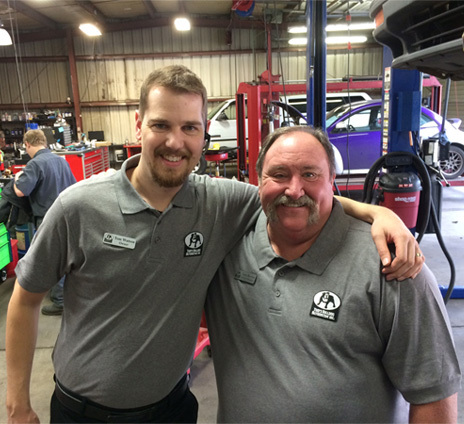 From the moment you walk through our door, our team strives to supply only the best Audi Repair and customer service. Our team of reliable technicians has performed just about every Volvo Repair. We have the experience and knowledge to diagnose any issue and get the repair done right. When it comes to maintenance, finding a reputable and cost-effective BMW Repair shop that you can trust may be a tough task in the Coos Bay and North Bend area. At Tom's Bulldog European Repair, youve come to the right place. "Great service, thoroughly explained, 36 month nationwide warranty on parts.."
"Great service and nice people. Try them." "Great job finding and fixing a challenging problem. Astonishingly.."
"I give you guys A Plus Marks!" "The customer service is excellent. Both Tom's are good.."
"I'm very happy with the service and quality of their.."